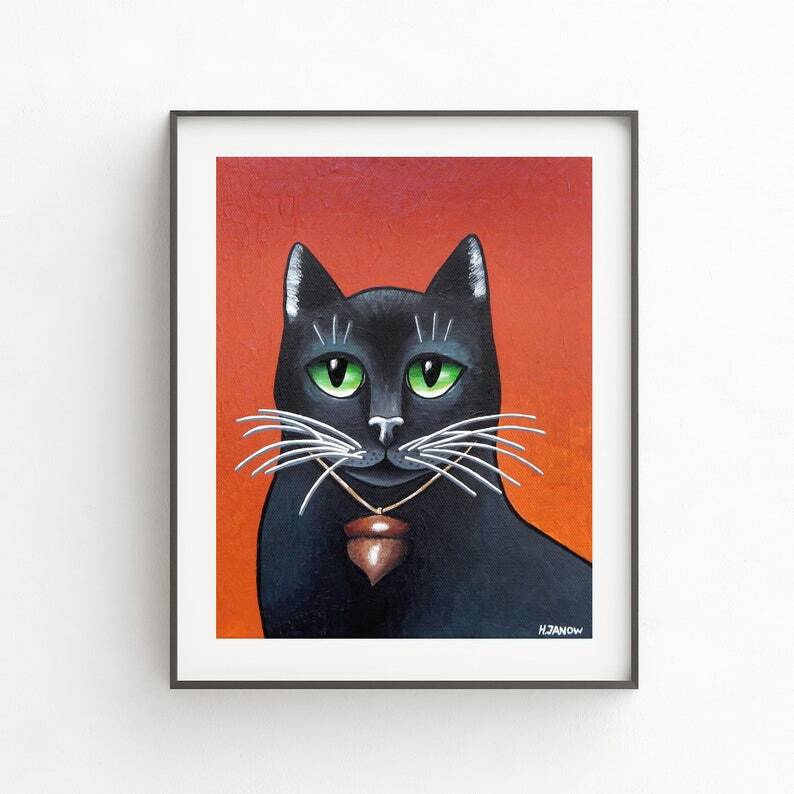 Show your love of Black Cats and Halloween with this spooky cute black cat giclee print. Adorable gift for cat lovers as well as unique Halloween wall decor! This high quality giclee print is a reproduction from my sold original painting.